She is an extremist in every sense of the word, while he seeks an easygoing path that keeps his scales balanced all night and day. Yes, they are quite the opposites of each other, but will their differences pave a harmonious way? AstrologyBay tells you all about a Libra man and Scorpio woman relationship compatibility and the pros and cons of this unity. You think it's difficult to understand women? Try meeting one that belongs to the Scorpio sign! A Libra man who takes pride in his charming and diplomatic ways through which he "thinks" he can handle one and all, finally gets a worthy damsel to test his true balancing skills ..., skills to handle this master-strategist who is covered with a seductive scent of secretiveness. No, we're not trying to portray her as someone sly and evil, she is everything else but that! It's just that she gets too involved in matters of the heart, which is why, she prefers to keep a foggy veil of mystery in her demeanor, both to keep her man puzzled and intrigued by her, and also so that she tests him at various levels, so as to finally get her heart on her sleeve, something she has been protecting carefully so far. A Scorpio woman is a magnetic beauty. Her intensity, passion, strong personality, and determined approach in life is something that no man on the planet would be able to resist. She gives you everything out of pure love and passion, but also expects you to reciprocate in the same manner. It is this expectation of hers that makes her a little difficult to handle. The Libra man is a true charmer and can woo any woman with his dazzling smile and intelligently-spoken words. He is an easygoing, fun-loving, and a tad-bit flirtatious social animal who loves some attention. He doesn't mind a little bit of flattery, and yes, is quite sensitive to what people think of him in his circle. He would, perhaps, be the best-dressed man in the party, flaunting his attire and his smile to all in the vicinity. However, beneath all of these traits, lies a man who is quite sensitive at heart and a die-hard romantic. From whatever you've read so far on this page, their combo doesn't really seem to be the best in the zodiac chart, does it? However, if you go through the testimonies of some couples having this zodiac match, it wouldn't be common to come across words such as "love-hate relationship", "soulmates", "coming back to each other", "being with my best friend", so on and so forth. What we're trying to put across is that in spite of the fair share of cons that this union comes with, this match is not that easy to "sleep over," for both would lose out on something irreplaceable in the bargain. The following sections elaborate on their journey that starts from knowing each other, to friendship, to love, and then to ...? Time will tell! How Can a Scorpio Woman Attract a Libra Man? Well, most likely she would have caught his attention with her demeanor. Right from her conversation to her conviction, everything just spells passion and intensity. She isn't someone who will try to be someone else just to please the others. As indicated earlier, she doesn't care a damn if someone likes her or not, she lives according to her own terms and conditions. This characteristic of hers attracts our Libra man instantly towards this damsel, most likely because he himself isn't like that. Her surety, focus, stubbornness, and conviction, of course, with that mysterious aura surrounding her, compels him to know more and more about her. She is also a great communicator and highly enjoys intellectual conversations like him. Both of them will find each other engrossed in debating over some intriguing topics, only making the attraction all the more strongly felt in their hearts. How Can a Libra Man Attract a Scorpio Woman? If he were a prince, his last name would definitely be 'Charming', we've already said that, haven't we? And although our Scorpio woman is all cautious and careful with men, differentiating the genuine ones from the phonies, she too, is swept off with his charm at one go. His mannerisms, optimism, eloquence, and fun-loving nature is something that impresses her instantly. With him, she feels happy, light, and sort of free from the self-imposed boundaries that she had built around herself all this while. He sees this world in a different light, where nothing is conniving and complicated. In addition to that, he is also a great listener and a counselor, always heeding to her qualms and assuring her that things are not that bad. The more they meet each other, the more he pulls her towards himself, eventually making her believe that if there is something known as a 'soulmate', it is this guy! Being with someone who helps you see this world in a positively different light is no less than an angel from heaven. Irrespective of their differences, they help bring out the best in each other, at least, initially. After winning our lady's trust, he patiently deals with her fears and insecurities, thereby de-cluttering her inner chaos that arises from the in-depth emotional range that she has being a water sign. Also, being ruled by the planet of passion, Mars, she provides the focus, determination, and power in his life, that is very much required for him to fulfill his goals. Hence, they become a quintessential part of each others lives, being lovers who are also a best friend to each other as and when the situation demands. They both value loyalty, devotion, and intimacy in their relationship, and that is what makes it possible for them to overcome the compatibility issues that tend to arise off and on. Physical intimacy is extremely important for a Scorpio female, and she takes it a step further by involving an emotional facet to it. To her, its more than the physical act, her passion and intensity clearly takes the Libra man to a different experience altogether. He too, being ruled by the planet of love, Venus, gives his all to his lover, making the experience highly satisfying for both of them. Well, every union comes with its share of ups and downs, well, in this case, it's more than usual share of ups and downs! As the honeymoon phase ends and these two start getting used to each others presence in their lives, the differences tend to create troubles. To begin with, she isn't as socializing, easygoing, and open-minded as him. While her idea of an outing includes just the two of them, he wouldn't mind calling his social group along. 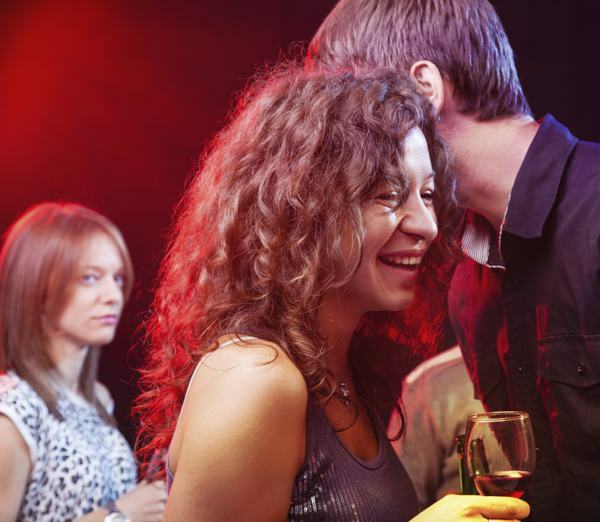 In time, he will discover that she has the tendency to get extremely jealous and insecure when he shifts his attention to other friends of his, especially if they are female friends. He needs his social mingling time and just because he danced with a she-friend doesn't mean he doesn't love her; she fails to understand this. Another problem arises when she becomes all the more secretive about her thoughts and plans, which is natural as she is also ruled by Pluto, the planet associated with the underworld. This irritates him to the core, as he isn't the sort to keep secrets or be all mysterious about things. 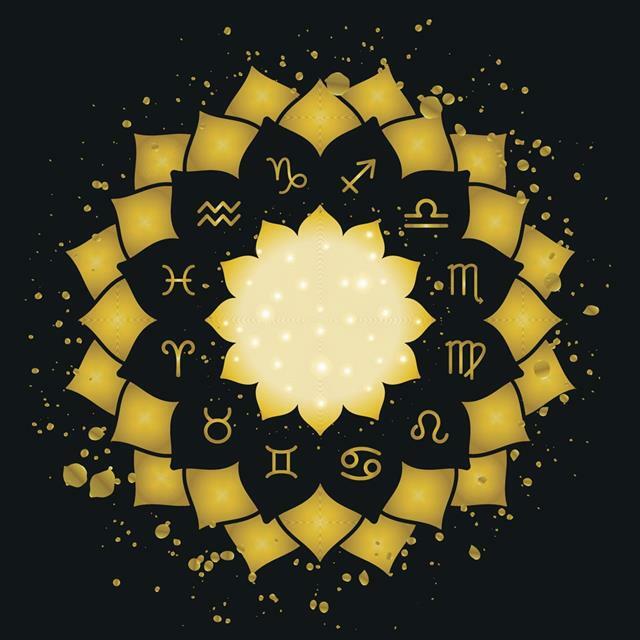 From the Scorpio woman's point of view, things become a little grumpy when he fails to reciprocate the degree of passion and love that she has been bestowing on him all this while. She feels used. Insecurity and fear crops up in her mind, questioning the seriousness of this guy when it comes to her and their relationship. Another tendency of his that annoys her is that he isn't as focused, determined, and strong-willed when it comes to his career goals, or even personal goals for that matter. At times, it may appear as if he doesn't know what he wants with his life, or his relationship, and this confusing mental phase of his may infuriate her. As a result, she may sting him with her venomous words, which will hurt him deeply. Unlike how the Scorpio woman prefers―for things to be confronted and discussed―our Libra man would prefer avoiding further conflict and avoid confrontation. If things get really bad, the Scorpio woman will cease to seek clarification and start scheming secretly to take a sweet revenge from her lover, a revenge that he will remember all his life! If these two have hit it off quite well, then we would suggest them to go with the flow and see where the tides take them. One thing is certain, that this relationship will not be boring and plain as both of these zodiacs are risk-takers and very well know how to spice up life. Also, the good-bad traits that these two possess will make this journey quite "interesting" as it is! Being a cardinal sign, the Libra man would want to set the course, but she being a fixed sign would resist and want to dominate the course of this relationship herself. To make things smooth, it is highly recommended for the both of them to suppress their individual egos and accommodate each others needs before their own. 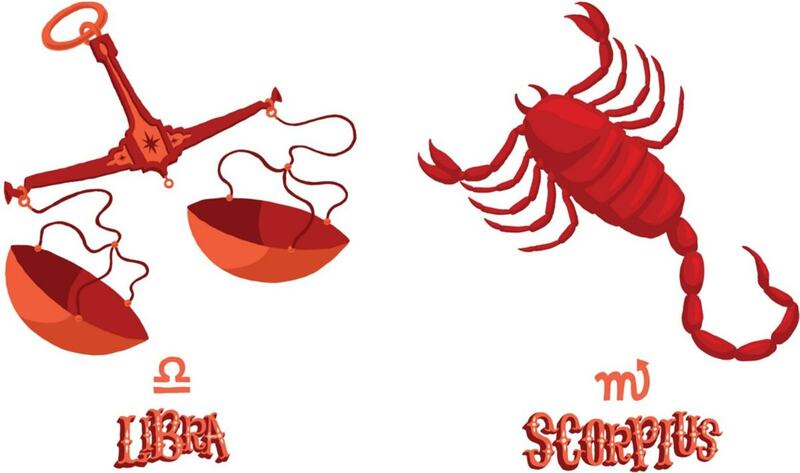 Trust us when we say this: The differences that these two zodiacs possess, if fused together in a constructive manner, can make this union absolutely satisfying for the both of them in each and every way. We all spend a great deal of time, precious time, in order to analyze different people and find that one partner who is perfect in every way. In truth, do you really think there is something known as a "perfect partner?" From what we have seen so far, they are nothing but the imperfections of the ones we love that make them perfect in our eyes. As far as the perfect companionship of a Scorpio woman and a Libra man is concerned, their contribution towards each other in this relationship is something that will be missed by them both, in case the relationship ends. However, we say if the love is true, it always find a way to overcome all odds. Cheers to the thought!